Oregon to West Virginia Freight shipping and trucking services are in high demand; Portland to Huntington is a very heavily traveled route. 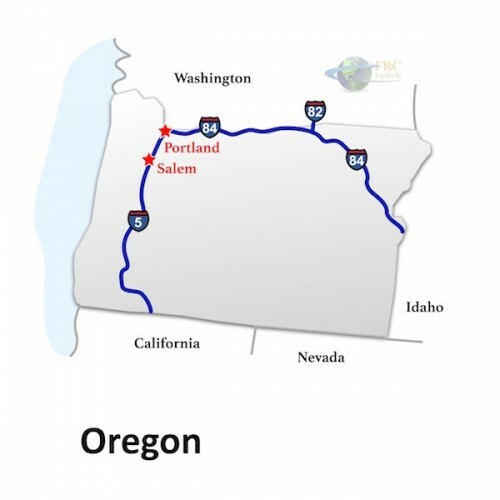 The Portland, OR to Huntington, WV freight shipping lane is a 2,495 mile haul that takes more than 36 hours of driving to complete. 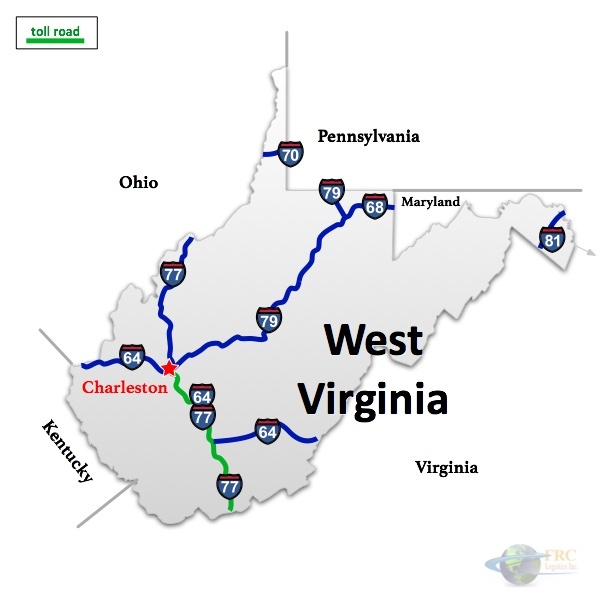 Shipping from Oregon to West Virginia ranges from a minimum of 2,118 miles and over 30 hours on the road from Ontario, OR to Kenova, WV, to over 2,853 miles and a minimum driving time of 42 hours on the road from Warrenton, OR to Bunker Hill, WV. The shortest route from Oregon to West Virginia is along the I-84 E corridor; however there is a more northerly route that uses the I-90 E, traveling through Billings, MT and Sioux Falls, SD. Oregon has a rocky coast along the Pacific Ocean, waterfalls, dense rainforests, the volcanic Cascade Mountains, and prairies, steppes and high deserts that sweep to the eastern border. Around 70 percent of the state’s population is concentrated in the Willamette Valley, which boasts cities like Portland to the north and Eugene to the south, and the western part of the state has a mild year-round climate featuring cool, wet winters and dry, warm summers. Further to the east, the winters are cold and snowy. Oregon is south of Washington State and north of California. To the east, it is bordered by Idaho and Nevada. West Virginia is a state that lies on the Eastern side of the United States, the state was formed in 1861 after some unionist counties of northwestern Virginia decided to separate from Virginia to form a new state during the American Civil War. West Virginia was admitted to the union in 1863, during the war West Virginia remained a key border state, and was the only state to be formed by separating from a Confederate state. West Virginia lies in the Appalachian mountains, in fact it is the only state in the United States to lay completely within a mountain range, thus being referred to as the “Mountain State”. West Virginia is a popular place for tourism, from mountain ranges, caves, whitewater, and skiing, West Virginia draws a large part of its income from travelers. West Virginia is one of the top coal producers in the United States, second only to Wyoming, coal fired power plants in the state create a surplus of electricity, leading the nation in interstate electricity exporting. West Virginia also sits on top of the Shale Natural Gas bed, which allows the state to produce 15% of the nations fossil fuel energy. 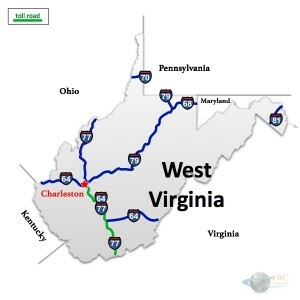 Oregon to West Virginia Freight shipping quotes and trucking rates vary at times due to the individual states industry needs. Since Oregon and West Virginia are mainly industrial, with many food processing and distribution centers, we see plenty of shipments by refrigerated trailer, flatbed trailer as well as by the more common dry van trucks. Our Less Than Truckload (LTL) carriers in both Oregon and West Virginia are also running a number of regular services between the two states, and it’s an active route for heavy haul freight shipments, as well.